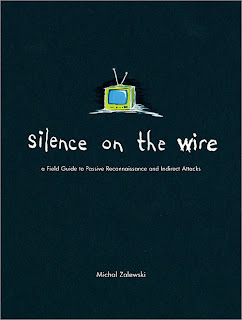 I recently finished reading the book Silence On The Wire (9781593270469), which represents itself as a "Field Guide To Passive Reconnaissance and Indirect Attacks". 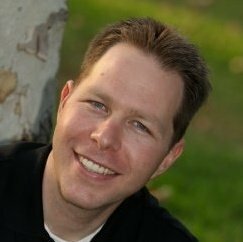 It's more of narrative describing a bunch of theoretical attacks on computer systems that one might use to discover information. It contains an interesting overview of cryptography and TCP/IP networking, but requires quite a bit of knowledge in advance in order to really understand the topics of the book. This leads me to the review. The material is multi-leveled. Some areas cater to those relatively new to security, and other areas cater to those well versed in standard computer security and want to learn more. Unfortunately, the author jumps back and forth from paragraph to paragraph so that to seem like both an instructional overview and an in depth analysis at the same time. The narrative seems to mock the reader's knowledge and then expect too much of it at the same time. While I actually read the book from cover to cover, I didn't enjoy it. I felt like some areas wasted my time, and other areas were unnecessarily too in-depth.